The next generation of ATM may be nothing more than a slot in the wall that spits out money. No screen, no swiping your card, no having to pull your sleeve down over your fingers because the person in front of you sneezed all over the buttons. ATM manufacturing biggie Diebold announced today that Citi has begun testing the company’s new “Irving” model of cash-dispensing computer that eschews most of what consumers have come to expect about the ATM experience. Rather than deal with the sometimes touchy touchscreens and buttons of traditional ATMs, these new machines use a customer’s smartphone as the screen, allowing them to pre-schedule pickups of cash in the hope that it will streamline the process when the customer arrives at the ATM. And rather than rely on PINs for verifying transactions, the Irving would use a variety of newer tech: first identifying the user through the near field communication (NFC) chip in their phone when they approach the ATM, then confirming identity through other options, including scanning the customer’s eyes. 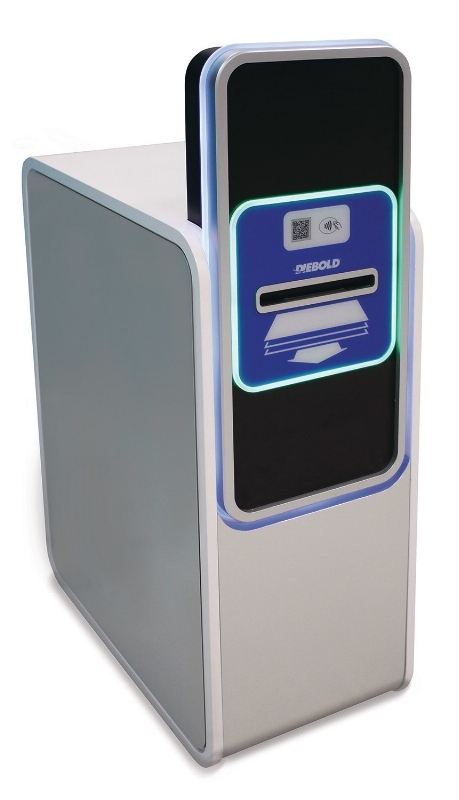 Diebold, which is showing off the Irving at a trade show in Las Vegas this week, says it’s gotten the cash-dispensing process down to fewer than 10 seconds. The machines should also take up about one-third less space than current ATMs, allowing banks to install more of them without having to give up additional footprint. Even if Citi does eventually go wide with the Irving — apparently named after author Washington Irving, who created the character of the headless horseman — it could still be years before this type of technology becomes the standard. A number of banks have been developing cardless ATM for years, and some — like BMO Harris — have been doing actual field-testing of new machines. But so far no one has done a large-scale rollout of cardless machines, let alone screenless ones.